Gosh, it seems like we just had Thanksgiving, but the Christmas season is already upon us! Along with that comes making your yard festive with Christmas décor and Christmas lights. It can seem like a big undertaking to decorate, but it really isn’t that bad if you are well organized and have a plan in place. First, you want to decide how much you are going to spend. If you want to light up your whole house plus buy a bunch of decorations…but only want to spend around $100, you probably won’t get very far. 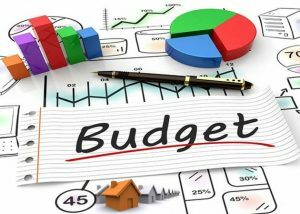 Know what your budget is and then go shopping to see what peaks your interest. It’s better to choose a couple of favorite things and do those well, as compared to stretching your dollar too thin and having things look too sparse. For example: not enough lights on a tree. There are so many options to choose from: net lights, icicle lights, rope lights, ground lighting, plastic and blow up ornaments, projectors that display Christmas designs, and more! It is also a good idea to Google online for inspiration. You’ll want to ensure that the lights you choose are specifically made for outdoor use. Check that they have the UL label on them (Underwriters Laboratories). If you are wondering how many lights you will need on your trees, check out this handy light calculation chart. 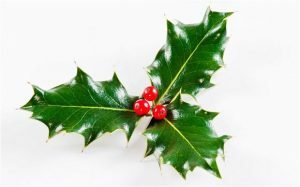 Here, you’ll also find all of the information you need regarding how to place your lights on evergreen trees, deciduous trees, trunks, branches, shrubs, and small bushes. If you are using lights from previous years, plug them in to see if you have any burnt-out bulbs. You’ll want to replace these because if you don’t, they can actually drain power from the rest of your lights, which then makes the other lights dimmer. As mentioned above, you don’t want to be too sparse, but on the flipside, you have to be careful that you don’t overload your circuits trying to be the brightest house on your block. Aim for no more than 1400 watts on one circuit. 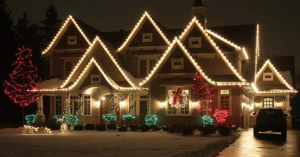 If you have overloaded your circuits, the lights attached to your home will dim when you plug in your holiday lights. Be sure to turn off your Christmas lights each night before you go to sleep. You can also install a timer to do the work for you in case you won’t be home. This can actually help as a deterrent for crime over the Christmas season as well, when burglars may be lurking around for Christmas gifts! We wish you the best of luck with giving your house a boost of Christmas spirit! 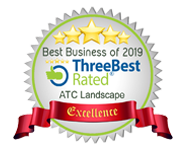 If you are looking for a professional and eco-friendly landscaping company in the Coquitlam area, contact us at ATC Landscape today! This entry was posted in Landscaping Tips, Uncategorized and tagged christmas decorating, christmas lights, christmas lights coquitlam, christmas lights on trees, coquitlam landscaper, exterior christmas decorating. Bookmark the permalink.